If you’ve always wanted to know more about plagues but were (understandably) less than keen to ask an infected person about them, then Winter Hall could be for you. For other, less science-y games, here’s a list of the best indie games around. 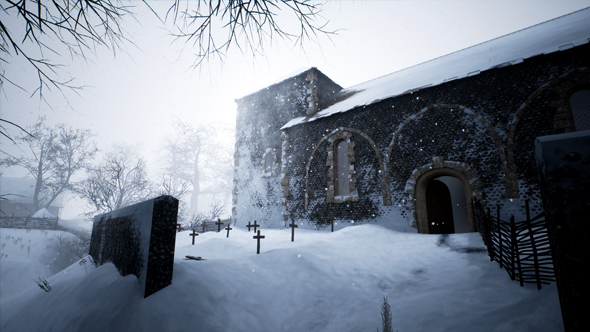 Another of the games to get into the finals of theDeveloping Beyond competition, Winter Hall is an exploration game that sees you hopping between two time periods, all in order to examine plague victims first hand and see the effects of the plague many years later. Crossing the time periods will be story lines, objects, and, to an extent, characters. Not that there will be people living for the 600-year span, unless there’s a Methuselah in their midst, but there will be links of family lines. In one period you may be talking to a great ancestor of a character you met in another period. Basically, think Everybody’s Gone to the Rapture over a much greater length of time.